This post is a re-print of our newsletter sent out on 29th of May, 2015. It is with a great deal of excitement but a tinge of sadness that we announce that the .strandberg* Custom Shop is moving back to its roots in Sweden. Co-locating the Custom Shop with the Made to Measure manufacturing will allow us to leverage the economy of scale in both lines of production, and deliver better guitars faster than otherwise. We will also be adding some new options to the Custom Shop guitars in the coming weeks, such as choice of humbucker or soapbar route, control layout and choice of switch type, thereby decreasing the gap between Custom Shop and Made to Measure. The Washburn Custom Shop (operated by US Music) has been an amazing partner the past few years. Beyond just building our guitars, they have provided technical support to customers, product photography, as well as shipping services. The competence that resides within those four walls in Buffalo Grove, IL, will not be easily replaced and will be sorely missed. We would have loved to continue our relationship with them, but sadly they have decided to cease production due to economic factors. The intent is for the move to be completely transparent to customers. Since the Made to Measure shop knows these guitars intimately, there is no training at all involved. We have already secured new shop space and look forward to showing it to you soon. 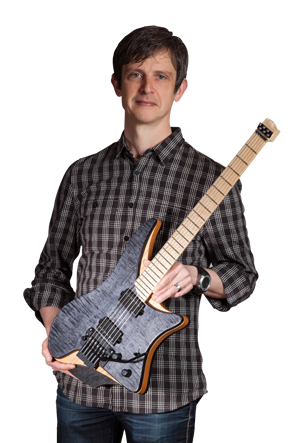 The web shop will continue to be priced in USD for strandbergguitars.com and EUR including VAT for strandbergguitars.eu. The prices for the .com shop will be quoted including domestic US shipping, and the guitars destined for North America will be brought through customs and quality controlled by our center in Southern California that is already managing the Boden OS operations. At this time, we do not anticipate any changes in pricing, although we may alter some of the available options. We are currently working out how to manage the warranty obligations with US Music with the firm intent that no customer will be impacted, at least not in a negative way. Orders placed from today will be placed with the Swedish shop and fulfilled from there.